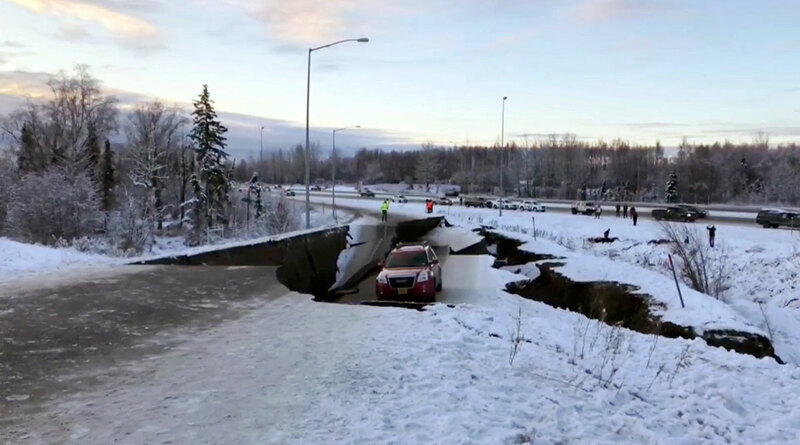 The temblor struck about 8 miles north of Anchorage. The Alaska pipeline that carries crude from the Arctic coast to the marine terminal in Valdez was shut as a precaution, Michelle Egan, spokeswoman for Alyeska, said by phone. Egan said she wasn’t aware of damage to the line, which transported 530,000 barrels on Nov. 29, but said there isn’t yet a timeline on restart. Alaska produced 494,000 barrels of oil a day last year, with most of it sent down the Alaska pipeline to Valdez, where it is shipped out by tanker, usually to U.S. West Coast refineries. No tankers were at the terminal when the quake struck and “everything is fine down there,” Egan said. A few smaller vessels were moved away from the shoreline. Alaskan oil production began to rise two years ago after almost three decades of declines from a peak of more than 2 million barrels a day in 1988, according to U.S. Energy Department data. The state was the sixth-largest oil producer in the United States in September down from third last year. It trailed Colorado, Texas, New Mexico, Oklahoma and North Dakota — states that have experienced a boom in shale fracking in the past decade. The recent uptick in production came amid new investments along the arctic coast and a push by President Donald Trump to expand drilling in the state. The U.S. administration is moving to expand the territory open for oil exploration in Alaska’s National Petroleum Reserve, a process that could shift drilling rigs closer to herds of caribou and flocks of threatened birds. In October, ConocoPhillips received approval to develop its Greater Mooses Tooth 2 project just a week after announcing the first production from the Greater Mooses Tooth 1 development. Hilcorp Energy Co. operates oil platforms in Cook Inlet, not far from Anchorage, while Marathon Petroleum Corp. has a 63,000-barrel-a-day refinery in nearby Kenai. Neither company immediately responded to requests for comment.